Born in 1964, SeaVees is the original casual sneaker. Making its mark with a groundbreaking advertising campaign throughout the 1960s that encouraged consumers to "Show up in SeaVees. The new way to go casual," the brand led the market in the transformation of the sneaker from gym shoe to casual shoe. To "Show Up in SeaVees" for any social affair meant you could enjoy the comfort of a sneaker while maintaining the finesse of a more refined footwear choice. Today, SeaVees honors its origin by adding modern amendments to retro-inspired styling, setting a new standard for timeless footwear design. Show up in SeaVees. The original way to go casual. I agree with most of the other reviewers, this is a comfortable and stylish shoe. The color is really nice and stands out a bit. I'm glad I purchased it. Love these - they fit well, are lightweight and go with basically everything. I really wanted to like these, but they were actually pretty stiff and difficult to put on. I thought the canvas would be softer. Oh well! Very flat sneaker similar in fit to converse. Very cute though and the green is very striking! Would not wear without socks as the upper feels rough to me and would rub without protection from a sock. Shoe is padded but arch support is lacking. The insole does slip out easily so that could be changed. Comfortable and attractive. Could use a bit more pizazz. I was really disappointed in these. 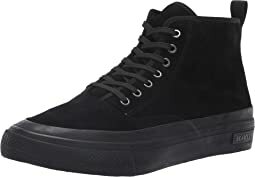 I usually wear a 5.5 or 6 in this type of shoe and the 5.5 was about the right length for me, however, the shoes themselves weren't symmetrical. One felt noticeably smaller and different than the other and they felt and looked like molded plastic. Maybe I could have read the description more closely? But these felt cheap and didn't look right, in addition to one of the shoes not quite matching the other. I own this pair in the oyster color and wear either those or the grey ones. When I first tried them on I thought they might be a bit short. But after wearing a few minutes (and everyday thereafter) they felt perfect. I’m a true 7.5 and ordered the 7.5. So comfy and cute! These are super fun! They don't have great support, and aren't super comfortable to walk a lot in. But they are fun and fine to wear for short periods, or a day when I don't have to walk far or stand around much. Light as a feather and very comfortable. The leather is incredibly soft and thin, so they readily conform to the shape of your foot. They appear well made so I'm hoping they'll hold up nicely. I would probably keep these if not for the size. I wish I could have seen in the description that the size I ordered (7) is listed as European 37.5 (stated inside the shoe). The shoes are beautiful, comfortable and stylish. 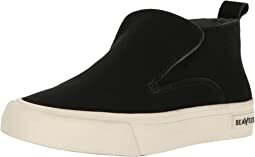 And a tad expensive for a casual pair of summer slip-ons. These are super cute shoes. The outsole is a good “Keds” style rubber and the insole is flat rope. I wasn’t able to fit my custom orthotics into them, but I am able to fit the insoles (trimmed a little) from my ASICS running shoes into them to give them more comfort and a little arch support. I think they run a little small in length. I’m either a 7 or a 7.5. Always a 7.5 when I insert my orthotics. So I ordered a 7.5. The length is just right right without any inserts at all. A tiny bit tight on top with the ASICS inserts, but I think the top might stretch a little. It’s a soft perforated suede. I really wanted to like these. But they are way to uncomfortable to wear. Cute and comfy, but I did need to add arch supports. Fine for the price though. I usually wear a wide but these were fine in regular width. These are fancy beach shoes, that's why I didn't give a 5 star on comfort, but by no means are they uncomfortable. I love them! Great looking sneaker however I was disappointed with the construction of the shoe seem cheaply made. Not very comfortable this soles. For 88.99$ too much for this quality shoe. Fits true to size! These are my go-to's when it comes to just throwing on a pair of shoes—this style (and color) look great in pretty much any outfit (besides formal wear). Seavees are the best. Goldilocks says they’re just right! I went back and forth between Madden’s and Seavees, thank you Zappos, and found a great pair of sneaks! Bought the green ones to wear on St. Patrick's Day in Savannah. Wasn't sure the support would be enough for a long day of walking. I was surprised how comfortable they were. My first pair of SeaVees won't be my last! The green is quite bright, very apple green. They are very flat, like Converse and not platform as described. Good quality. If you want a very bright apple green sneaker that is super flat and nicely padded you will love them. They will make your feet look large. I am returning. If they really were platform, i.e. thicker and with more capacity to lengthen the leg, I would keep. When I ordered these, I accidentally ordered a men's pair, which was disappointing when they arrived. When I looked back at the mobile app, I still never could see where it stated men's or women's sizes, so just be cautious when you order to make sure you get the right ones. When I eventually found my size elsewhere it was worth it! I love them! So comfortable and they fit true to size. I would've ordered them on Zappo's, but they didn't have my size.